Change is the only constant: 2nd Lunar New Year Challenge! Where we see the dead-easy win for White: Kc6 followed by Kc7 chasing away the Black rook, whose blockade of the White pawn is all but imaginary. Then White's mighty pawn is suddenly reduced to a helpless weakling! 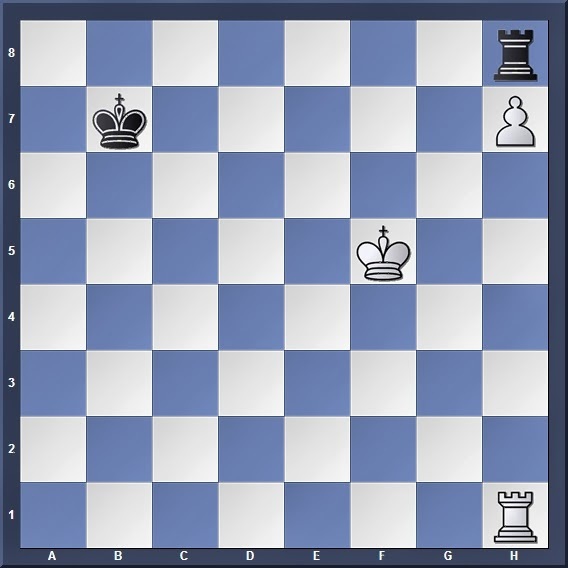 Once again we see the importance of putting our rook behind a passed pawn (regardless of which side it is on): All Black has to do is to shuffle along the h-file and tie down the White rook to defending the pawn; if the White king tries to make contact with his pawn with Kg6 Black just kicks him away with a rook check on the g-file. One important exception to note in this position, however, is that the h5 square is off-limits to Black: 1... Rh5?? 2. Kg6!. White's king touches his pawn and attacks Black's rook at the same time, thus Black cannot check safely on the next move. White can then free his rook and win the game. Keep your eyes peeled for these hidden tricks! Another trap to look out for, is the tempting move 1... Kc7?? (intending to march towards the White pawn and pick it off). Can you see the tactical bomb for White? 2. Ra8! 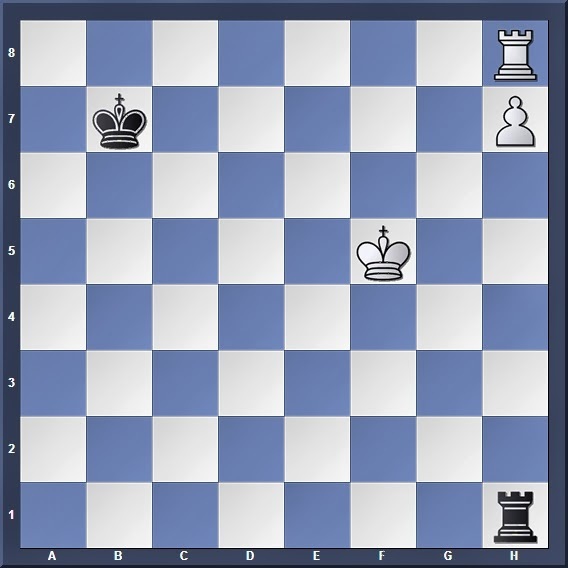 threatening promotion, and if 2... Rxh7 White wins the rook with the skewer 3. Ra7+. Many players have fallen for this trap, so watch out! 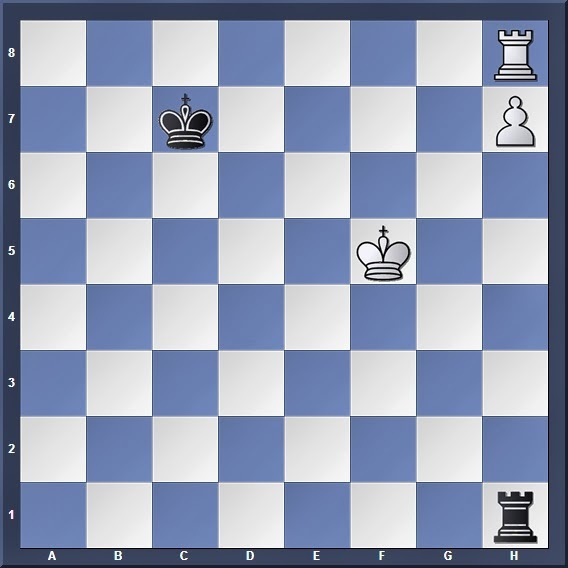 I think I've given you quite a lot of help with the info above, so by now it should be obvious that pushing the pawn to a7 will result in an immediate draw (so long as Black does not fall for any of the traps I've mentioned above!). So the question is: If White doesn't push the pawn, can he still win this game?